Welcome to the Benefits Management and Categorization tutorial offered by Simplilearn. The tutorial is part of the MSP® Foundation and Practitioner course. In the previous lesson, we discussed leadership and stakeholder management. 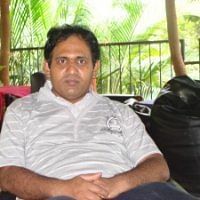 In this lesson, let us focus on benefits management which is one of the governance themes of MSP framework. Let us begin with the objectives of this lesson in the next section. Identify the steps involved in the benefits management cycle. Explain the benefits management strategy. Describe the various stages of benefits realization. Describe the roles of the Senior Responsible Owner, Program Manager, Business Change Manager and Program Office. MSP® Framework diagram for Benefits Management and Categorization is shown below. The image represents the MSP® principles, governance themes, and transformational flows. Benefits management is one of the governance themes which is placed in the second circle. Benefits management is an essential part of program management. Programs are primarily driven by the need for delivering benefits. Benefits are anticipated when a change is conceived and emerge with their associated risks. The realization of benefits takes place within an operational environment. The program will deliver new capabilities such as business processes, new assets, systems, functions, and services. These are some of the benefits delivered by the program. In the next section, let us introduce the concept of benefits management. Benefits management is a process that starts with the identification of benefits in a program and lasts until each of the benefits are delivered. It is directly aligned to the principle focusing on benefits and threats to them and thus is integral to other governance themes. A program may deliver benefits or dis-benefits, Programs are initiated with the aim of delivering benefits. However, a program will have some negative impacts as well as improvements. Benefits and dis-benefits are anticipated when a change is conceived and while there may be uncertainty related to the extent of change, benefit or dis-benefit is not a risk as it is planned to be realized. The benefit can be defined as a measurable improvement that results from an outcome identified an advantage by one or more stakeholders. Benefit contributes towards one or more organizational objectives. A dis-benefit is a measurable decline that results from an outcome identified as negative by one or more stakeholders. Dis-benefits detract from one or more organizational objectives. In the next section, let us look into benefits management interfaces. Benefits management qualifies the blueprint against the projects, activities, and associated organizational changes needed to deliver new capabilities defined within the boundaries. Benefits management drives the end of tranche reviews and enables decision-making that could make changes in the program to take it forward. Benefits management defines the acceptable criteria for quality of the outputs and capability to be delivered. It defines fit-for-purpose capability, establishing the critical quality checking mechanisms throughout the program and ensuring alignment with the requirements defined in the blueprint. Benefits management informs business case about the capability to deliver costs and ensures that the value of benefits is balanced. Let us continue to discuss the interfaces of benefits management in the following section. Benefits management helps in analyzing and engaging stakeholders by identifying their interest in various benefits. Benefits management identifies dependencies in plans by prioritising benefits. This allows the program to create maximum value under given constraints and make the right trade-off decisions if required. Benefits management identifies risks in the program during realizing benefits. In the next section, let us focus on aligning benefits with corporate objectives. Organizations must evolve to grow and survive. All current and future change activities in an organized form the corporate portfolio. The strategy provides the context and balance of planning, running, and completing a change portfolio. Individual programs must link their intended benefits to corporate objectives to ensure that they are adding value to the organization. Programs are planned to deliver transformational changes. Some of the changes may cause dis-benefits. However, these changes also provide opportunities for additional benefits. Benefits may take longer to achieve compared to the program’s life as benefits realization will continue even after the program is closed. It might be possible that through benefits have been realized, it might take longer to achieve the expected levels. The Business Change Manager or BCM (read as B-C-M) will continue to be responsible for benefits realization, even after the closure of the program. Unexpected benefits should be captured and reported to ensure that the full value of the program is recognized. In the next section, let us learn the differences between outputs, capabilities, outcomes, and benefits. The deliverable of a project the result of a planned activity. Completed a set of project outputs required to deliver an outcome. It will come into existence before the transition starts. Answers the question, “What do we need to create to enable the change?" Answers the question, “What will we need in place to enable the new operating state?" Answers the question, “What is the desired operational state of the organization using these new things?" Answers the question, “Why is this justified?" The output of several projects is needed to enable the change. Once the capability is available, the transition is triggered. This gives way into live operation. That is, it explains what a program delivers. Thus, we can say that a combination of projects delivers capability, which leads to an outcome after the transition, to deliver planned benefits. In the subsequent sections, let us discuss how benefits can be categorized. It implies what the benefits add to the organization. It indicates whether the benefits are cashable or not, and how they can be converted to cash. It indicates which benefits deliver certain corporate objectives. It helps to find out which group of stakeholders are impacted by benefits. It implies when the benefits will be delivered during a program. It defines which benefits have higher levels of risk associated and which have lower levels of risk associated with them. Any categories can be applied in sequence or combined. For example, benefits can be categorized on timescales as they may need to be delivered in 6 months or 2 years. These benefits can be further categorized based on their financial impact and the risks associated with them. In any case, a program needs to decide early on how it will categorize benefits. In the following section, we will discuss benefits categorization in terms of value. The first one of them is economic benefits. It can be a financial improvement, cash released, increased income, or a good credit rating which implies the better use of funds. The next ‘E’ is effectiveness benefits which relate to doing things better or to a higher standard, thus leading to fewer errors. The last ‘E’ is efficiency benefits which indicate the ability to achieve more benefits with the same effort and resources or the same benefits with less effort and resources. For example, you may produce more output in a field with the same amount of effort. These value types cover the vast majority of potential benefits and are useful for identifying potential program benefits. Grouping each benefit under these categories will help to analyze the relationship between different benefits and changes. Let us focus on the benefits categorized in terms of financial impact in the next section. Based on financial impact, benefits can be categorized as cashable and non-cashable. Cashable benefits include benefits that can be realized in terms of money, for example, low supply chain costs, staff savings, or low running costs. The cashable benefits should be validated by the finance department. Non-cashable benefits include benefits that cannot be realized as cash but can be re-invested in improved services. An example of non-cashable benefits is staff time savings. To make non-cashable benefits real, it is important that they suit the relevant business area. For example, if we are planning to implement processes and tools that will save the time of the team working on payroll, then we must discuss the same with them and ensure that the team is working on more tasks to make use of the saved time. In the next section, let us understand the benefits of categorization based on corporate objectives. Benefits can be categorized by the type of corporate objective they support. Each organization will have multiple objectives that may relate to benefits and each of these objectives may have an impact on three value types, namely, economic, efficiency and effectiveness. These changes are internal to the organization, such as improved decision making or more efficient management processes. A better-motivated workforce may lead to a number of other benefits such as flexibility or increased productivity. This enables an organization to fulfill policy objectives or to satisfy legal requirements, and the organization has no choice but to comply. These include ‘more with same’ or ‘same with less’ approaches that allow an organization to perform the same job with less resource, leading to a reduction in costs, or to do more than required with the same resource. These changes enable increased revenue or the same revenue level in a shorter timeframe, or both. Other types of objectives can be enhanced by the quality of service, reduced costs, risk reduction or reduced environmental impact depending on the goals of an organization. In the next section, let us discuss benefits categorization in terms of stakeholder impact. These effects may be perceived as positive or negative. The benefit for one group of stakeholders can be considered as dis-benefit for another group. This complex nature of a program seldom creates a simple division in stakeholder groups like the supporting or opposing groups. Stakeholders who perceive the program as a threat will oppose it. So, the program needs to minimize the risk of resistance. The program needs to investigate very thoroughly the benefits it generates and their effects on stakeholders. Stakeholders, who perceive the program as negative, will try to resist it. The program should, therefore, explore organizational change options that allow it to minimize dis-benefits. If a program fails to contain dis-benefits, it can make a business case unviable. In the next section, let us cover benefits categorization on the basis of the timeline. The first reason is that the advantage of benefit may vary depending on when it is delivered. Some benefits may need to be created early so that they can assist the program to go forward, for example, improved efficiency in an operational environment. The second reason is the need to plan quick wins to keep stakeholders supportive. Stakeholders may not like to wait for years to see improvements getting materialized. So it is important to show stakeholders something to substantiate the claims and keep them happy. The third reason is that early benefits might be used to fund future tranches. This is especially true in case of complex programs. But in these scenarios, the risks should be identified and managed where future tranches are dependent on successful realization of benefits in earlier tranches. In the next section, let us discuss benefits categorization in terms of the level of risk. It is essential to identify levels of risk associated with the achievement of the benefits. This contributes to understanding the overall level of risk for the program. The best way to use this classification is to associate a numeric value with the level of risk and use this to factor the amount of benefit that is achievable. Low risk implies that 90% of the value is achievable. Medium risk implies that 60% of value is achievable. High risk implies that 30% of the value is achievable. Let us consider that the benefit of a program is identified at $100,000. If we consider that the benefit comes with medium risks, then the worth of the benefit will probably be only $60,000. If we want to achieve complete benefit, then we might have to invest in risk mitigation. This helps to reduce uncertainty in the benefit value. Allan Boyd has been identified as the new Business Change Manager for the program, Nutri snack. He has shared a list of benefits with the Program Manager, Chao Yin. Since Allan is handling this task for the first time, he has mixed up outputs, outcomes, capabilities, and benefits. Increased profitability by 20% within 18 months of the launch. Let us find out how Chao will segregate the outputs, outcomes, capabilities, and benefits under different categories. New recipe for a healthy snack for sports personnel. Outputs are the deliverables of individual projects. From the given list, we can identify the new recipe for a healthy snack for sports personnel and the advertisement campaign as outputs. The outcome is the new operational state achieved once a capability is put into operation. Better visibility fits the criteria as it is the result of the new recipe being advertised in the market. Please note that if this would have been “Increased visibility/ brand recognition by 15% after 30 days of product launch”, it would have been categorized as a benefit. The benefit is a measurable improvement and the statement “Increased profitability by 20% within 18 months of launch” fits the category. Dis-benefit is defined as the outcome which is perceived as negative. Thus the statement “Expense of advertisement campaign and stock keeping” is categorized as a dis-benefit. In the next section, let us discuss the benefits management cycle. Benefits management cycle is a four-step cycle for managing benefits in any program. The benefits management cycle is continuous and iterative throughout the program. The cycle is supported by continual activities to optimize and identify more benefits. The following are the four-steps of benefits management cycle. Each of these steps is covered in detail in the forthcoming sections. Let us start with the first step in the next section. Benefits management cycle should start early in the lifecycle of a program. Identifying likely benefits and mapping them from corporate objectives to project outputs is the first step of this cycle. This should ideally start in ‘identifying a program’ when developing the program brief. An optimal way to identify benefits is to engage important stakeholders who can provide different perspectives on where benefits might be realized. These perspectives and insights should help to generate an initial list of benefits. Once the benefits are identified, they are categorized. Once categorization is over, the program can analyze the overall mix and adjust its scope to ensure that it will deliver the required balance of benefits. Some benefits that have high associated risks may be tracked as risk opportunities if there is insufficient justification to develop a benefit profile. The same applies to benefits identified as a result of a major change in the program direction. The key is that the opportunity is recorded and tracked. In the next section, let us discuss benefits maps. Benefits map shows the relationship between outputs, capabilities, outcomes, benefits, and objectives. It is important because benefits typically do not happen in isolation and there is a cause and effect relationship between the elements in a program. Failure to deliver a specific output or capability may appear to have a minor effect from a project perspective but it will have a massive impact on benefits realization. Benefits map should also include dependencies that are outside the boundary or control of the program. Benefits map should be created working from corporate objectives to include long- and short-term benefits. It should then define project outputs and required organizational changes. Now let us look at the image given below. To ensure mapping from corporate objectives, we will study the figure from right to left. Moving from right to left, we will find the corporate objectives on the right, which is reduced personnel cost. There are several long-term benefits of this objective, such as increased productivity, improved continuity, fewer HR staff, and low requirement costs. Before we reach these long-term benefits, we get several short-term benefits like better staff retention, higher staff morale, increased HR staff efficiency and fewer vacancies. These short-term benefits are delivered by outcomes like delays for application reduced and applications processed faster. The capabilities are new requirement process and restrained managers whereas the project output is new HR IT system. Let us focus on benefits management strategy in the next section. The strategy should define ‘what is a benefit’ for the organization, specific measures for achieving the benefits and standard ways to calculate them. The strategy should also prescribe how to ensure that benefits have not been double counted. Double counting the benefits will increase their expected value and may create issues with estimations and expectations. The strategy must also provide the context within which the projects will operate, how they will reference and contribute to program benefits. It also prescribes the controls that will be put in place and how assurance will work. Projects are critical in providing the capability that the operations will need in order to realize benefits. If the capability is inadequate or inappropriate, the potential benefits will be undermined. The strategy should include defined measures to evaluate benefits. It should also include details on reporting frequencies. In the subsequent sections, let us discuss benefits profiles. As soon as the benefit is identified, a profile including a description and an operational owner is created. Other details about benefits and their impacts can be included as part of stakeholder engagement. It is essential to create benefits profiles for all major benefits. Concentrating on a few core benefits will reduce the overhead of creating, maintaining and pursuing numerous benefits. The Business Change Managers or BCMs are responsible for identifying, developing, validating and managing the delivery of benefits. They are also responsible for creating benefits profiles. However, they may work closely with a large number of individuals across different functions to develop the profiles. The Senior Responsible Owner or SRO is accountable for the overall set of benefits even though the BCM is responsible for creating the benefits profiles. In the following sections, let us understand plan benefits realization. Once benefits have been identified, the program will need to understand how they fit together, attribute responsibilities, validate that they are credible and plan for delivery. It is important to plan short-term benefits realization to ensure sufficient ongoing focus and commitment to the program. Following are the three ways to plan benefits realization. It defines accountability and responsibility for benefits, collectively and individually. It is a key requirement for successful program benefits management. 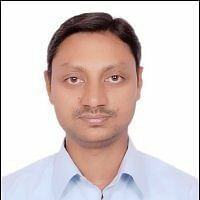 Each benefit should be defined by appropriate competent individuals who are then responsible for its successful delivery. The responsibility of benefits should remain with organizational units affected by benefits. Similarly, responsibilities for dis-benefits should also be clearly allocated. One way to make benefits attribution more meaningful is to link benefits realization to personal performance. Now let us understand benefits validation. The description which answers what precisely is the benefit. The observable outcome that answers what are the verifiable differences that will be noticeable between pre and post-program implementation. Attribution which answers where the benefits will arise and whether the program can realize its benefit. It also answers whether the accountabilities and responsibilities for delivering the change are clear and agreed upon. The measurement that answers how and when the achievements of the benefit will be measured. An identified benefit that does not pass these four basic tests is by definition not a benefit. 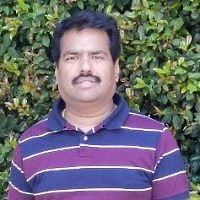 Benefits realization plan is a complete view of all benefits, their dependencies and expected realization timescales and is derived from the benefits map. It is used to track the realization of benefits throughout the program. Benefits realization plan should be developed alongside the program plan to ensure alignment across costs, risks, and realization of benefits. The development of a benefits realization plan should be closely integrated with the stakeholder management strategy. Benefits realization plan should also identify benefit reviews to formally assess the realization of benefits. In the next section, let us focus on delivering benefits realization. Benefits realization includes three stages: Pre-Transition, Transition, and Post-Transition. One of the key areas of focus during the delivery of benefits realization is the measurement of benefits. Without this, the realization of benefits cannot be managed. Benefits should always be quantifiable and measurable. There is a need to define a metrics to track progress towards meeting corporate objectives. There is often a tendency to be over-optimistic when defining and setting target measures for the expected benefits from a program. Over-optimistic expectations can create buy-in and commitment from stakeholders, however, when the benefits are reviewed, the support will evaporate if what promised is higher than what can be delivered. The absence of a baseline of the performance from the time before the program started, creates a problem while measuring the improvements. Use the “as-is” state defined in blueprint as a baseline against which performance baselines are established. In the next section, let us discuss the key performance indicators and benefits measures. Remember to refrain from being over-optimistic or under-optimistic while setting target measures for expected benefits. It is important to choose suitable Key Performance Indicators or KPIs (read as K-P-Is) and adjust them as a result of operational changes if needed. Some KPIs may not be suitable for benefits measurement. Such programs may need to define new KPIs and provide processes and tools to support them. The current KPIs are needed to be supplemented by other measures to assess the benefits realized by the program. Performance criteria from relevant or affected contracts, service level agreements, and compliance targets should be reviewed to ensure change congruence. For example, any penalty that might be incurred because of deterioration in performance should be reviewed. Some measures may be subjected to fluctuations from normal process variation or seasonal trends. It is important that this is understood and reflected in plans. Business performance metrics to ensure that changes are in line with the predictions. The BCM also monitors early warnings of significant issues, which could impact the whole transition process. In the next section, let us discuss benefits reviews. Benefits reviews may be time or event-driven. It takes place at the end of each tranche to ensure that benefits realization is still on track. The outcome of the benefits review might also require the program to review the projects dossier to ensure that alterations in benefits realization are considered. Now let us understand the objectives of benefits review. The main objective is to inform stakeholders and senior management of the progress in benefits realization and help to identify any further potential for benefits. The next one is to frequently assess the performance of the changed business operations against baseline performance levels. The third objective is to, assess and update individual benefits profiles and benefits realization plan to ensure that the planned benefits remain achievable and have not changed in scope or value. The fourth objective is to ensure that all benefits remain aligned to program objectives throughout the program. Reviews also assess the level of benefits achieved against benefits realization plan. Finally, it is essential to review the effectiveness of the way in which benefits management is handled, so that lessons can be learned and improved processes can be developed and implemented. For example, refine the definition of benefits or improve the understanding of the organization’s ability to deliver. In the next section, let us discuss how to optimize and look for other benefits. Are you curious to know, what MSP certification is all about? 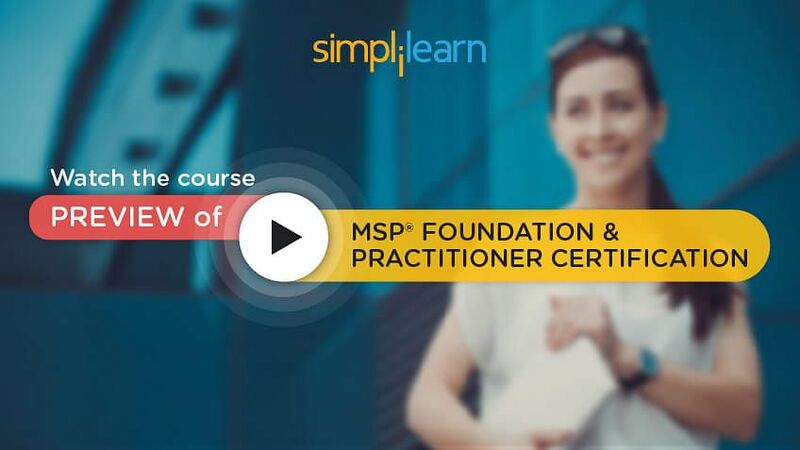 You can watch the MSP Foundation and Practitioner Course preview for free here. The lessons learned and opportunities to improve performance in any step of the benefits management cycle should be under continual improvement. Changing strategy and new organizational drivers mean that the program must be responsive to changes and look for new opportunities to identify benefits, just as risks are continually reviewed and identified. When new benefits are identified, the cycle starts afresh for those benefits. During transition and benefits realization, the Business Change Manager or BCM (read as B-C-M) will be in constant communication with different stakeholders. When stakeholders buy into the program and its benefits, they are creative and informed enough to identify new benefits and also optimize the realization of existing benefits. In the next section let us learn about benefits management within the transformational flow. The table below depicts the relationship between transformational flow and benefits management. Program mandate contains an overview of corporate objectives and expected benefits that the program must deliver. As part of developing the program brief, the program provides an initial assessment of whether and how the benefits will be delivered. Benefits management strategy is created. Benefits profiles are established along with benefits map. Initially, this may be a part of governance arrangements in the program preparation plan. The benefits management strategy defines the practices and governance arrangements for benefits management. The main focus of the program from a benefits perspective is the detailed definition, allocation of ownership and planning of the benefits themselves. Documentation created in this phase gives a complete picture of the program’s viability. Maintains strategic oversight of delivery of capability and preparedness for change. Regular benefits reviews are conducted. Activities during managing the tranches ensure that the benefits context is considered while conducting regular benefits reviews and monitoring for any strategic changes. In the next section, let us continue to discuss the relationship between benefits management and transformational flow. While projects continue delivering their commissioned outputs, the program ensures that they remain aligned to the benefits realization plan. The Business Change Manager or BCM provides support and expertise and assesses any project alterations for impact on benefits. Engagements with stakeholders remain a high priority to fine-tune requirements and review design solutions and user acceptance testing. This is the fundamental focus of benefits management. This stage is concerned with implementing the benefits realization plan and benefits profiles. Programs should always be alert to the possibility of new benefits and look towards accruing greater benefits. It is a crucial milestone in benefits management. Once the program closes, no further new capabilities will be provided by it while benefits continue to be realized. Benefits continue to be realized. As part of the closure process, the benefits profiles, benefits maps, benefits management strategy and benefits realization plan are reviewed and updated. They act as reference points for post-program activities. Let us look into the roles and area of focus for benefits management in the following section. Let us begin by discussing the roles and areas of focus of the Senior Responsible Owner. It ensures that the program and the business areas affected maintain focus on benefits delivery. It is the SRO’s responsibility to ensure that benefits management strategy is created, adjusted, improved and enforced. The SRO has to maintain focus on the sustainability of business performance during the transition. He conducts benefits reviews involving relevant stakeholders, business managers, and internal audits. The SRO also authorizes benefits achievement. Developing the benefits management strategy, on behalf of SRO, with BCMs and relevant stakeholders from affected business areas. The program manager is also responsible for developing the benefits realization plan with BCMs, relevant stakeholders and project teams. The Program Manager ensures that the delivery of capability is aligned to maximize the realization of benefits. The Program Manager also initiates benefits reviews as part of the benefits realization plan or in response to other triggers. Identifies and quantifies the benefits with the support of relevant stakeholders, program managers, and project teams. The BCM is responsible for delivering particular benefits as profiled in benefits profiles that are developed and maintained by the BCM. The BCM also provides information to support the creation and delivery of benefits realization plan. The BCM ensures that there is no double counting of benefits and also maintains engagement with key individuals responsible for benefits delivery within operations. In addition, the BCM sets business performance deviation levels and early warning indicators to support benefits realization. The BCM is responsible for initiating benefits reviews after program closure. Gathers information for benefits reviews. It produces performance reports as defined by the program manager. The program office also maintains benefits information under change control. In addition, it maintains the audit trail of changes. In the next section, let us focus on the information provided by benefits management strategy. The purpose of benefits management strategy is to define the approach to realizing benefits and the framework within which benefits realization will be achieved. This document lists the scope and explanation of areas covered by benefits. It also defines measurement and monitoring methods for the identified benefits. The priority of benefits in a program. The benefits management strategy describes a process to ensure that benefits are not double counted. The relationship between capabilities and benefits are listed to ensure efficient realization. All the tools, systems, sources of information to enable measurement are identified along with critical success factors against which benefits will be measured. The benefits management strategy also details the review and assessment process for measuring benefits. All the standards for identifying, mapping, monitoring and reviewing program benefits are identified and included in this document. In the next section, let us discuss the information provided by a benefits management plan. Benefits realization plan is used to track benefits realization across the program and set review controls. The content of the document includes the scheduling detail of when each benefit or dis-benefit will be realized, and also the appropriate milestones for benefit reviews. It also provides the estimated effort and costs associated with the plan along with details of transition schedules so that operations are prepared for the upcoming transition. The plan will also include benefits reporting schedule, which is submitted to the program board for approval. Benefits realization plan explains the relationship between outcomes and benefits in the schedule, which helps identify impacts on benefits realization in case of delays in outcome delivery. It includes the dates when specific outcomes that enable benefits will be achieved. Benefits realization plan also highlights external dependencies. The details of handover and embedding activities after capabilities have been delivered are a part of the benefits realization plan. It also includes the reference to how benefits realization will be maintained after program closure. In the next section, let us understand what information can be obtained from benefits map. The purpose of benefits map is to illustrate the sequential relationship between benefits. The content of benefits map includes identified benefits and dis-benefits, including short- and long-term benefits. The benefits map will list all the outputs, capabilities, outcomes and strategic objectives for the benefits to be realized. The dependencies between benefits, project outputs and on capabilities and outcomes are listed in the benefits map. Other external dependencies for benefits are also highlighted in the document. Let us look into the information obtained from benefits profiles in the next section. Benefits profiles are used to define each benefit and dis-benefit and provide a detailed understanding of what will be involved and how benefit will be realized. Benefits profiles include the description of benefit or dis-benefit with a unique identifier. It also includes a list of supported programs or organizational objectives and relative outcomes. It includes details of benefits categorization and KPIs that will be affected by benefits. It also contains information on baseline and expected (improved or degraded) performance levels. The other details included in benefits profiles are benefits realization and business change costs, and capabilities required for benefits to be realized. 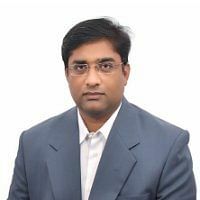 Benefits profiles also provide details on the outcomes and business changes needed to enable benefits realization, along with dependencies, risks, and issues related to each benefit. Benefits profiles identify the benefits owner and operational area to receive the benefit. It also includes financial measurements to ensure that we have a measurable value for benefits. Benefits management is an essential part of program management. Benefits are anticipated when a change is conceived. Benefits are measurable improvements and dis-benefits are measurable declines, which are identified by stakeholders. The various benefits management interfaces are: it qualifies blueprint, conducts tranche reviews, defines acceptable criteria, informs business case, analyses and engages stakeholders, prioritizes benefits and identifies risks. A benefit can be categorized based on value, financial impact, corporate objective, stakeholder impact, timeline and levels of risk. Benefits management cycle is a four-step cycle for managing benefits in any program. The steps involved in Benefits management cycle are identified, plan, deliver and review. Benefits map shows the relationship between outputs, capabilities, outcomes, benefits, and objectives. Benefits management strategy defines the program framework for realizing benefits. The three stages of benefits realization are pre-transition, transition, and post-transition. The relationship between transformational flow and benefits management can be defined on the basis of identifying a program, defining a program, managing tranches, delivering capability and realizing benefits and closing the program. The SRO reports to the Sponsoring Group on the delivery of program benefits. The Program Manager develops the benefits realization plan with BCMs, relevant stakeholders and project teams. The BCM initiates benefits reviews after program closure. The Program Office monitors the progress of a benefits realization plan. With this, we come to an end with the tutorial on Benefits Management and Categorization. In the next chapter, we will focus on Blueprint design and delivery.